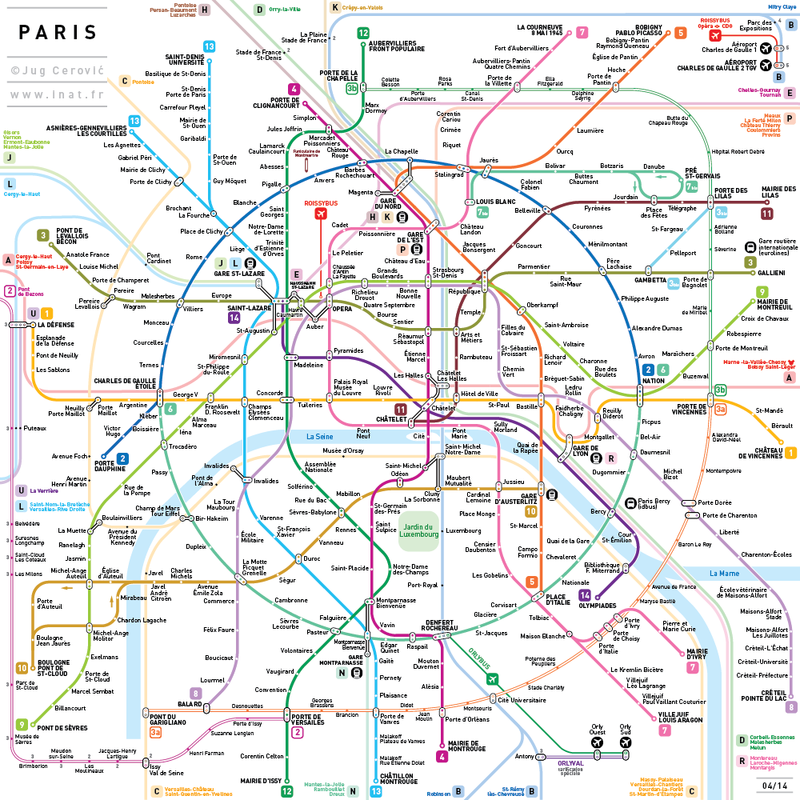 French Serbian architect Jug Cerovic has designed a standard metro map for 12 major cities, with a goal of make it easier for people to read, memorize and use the subway. 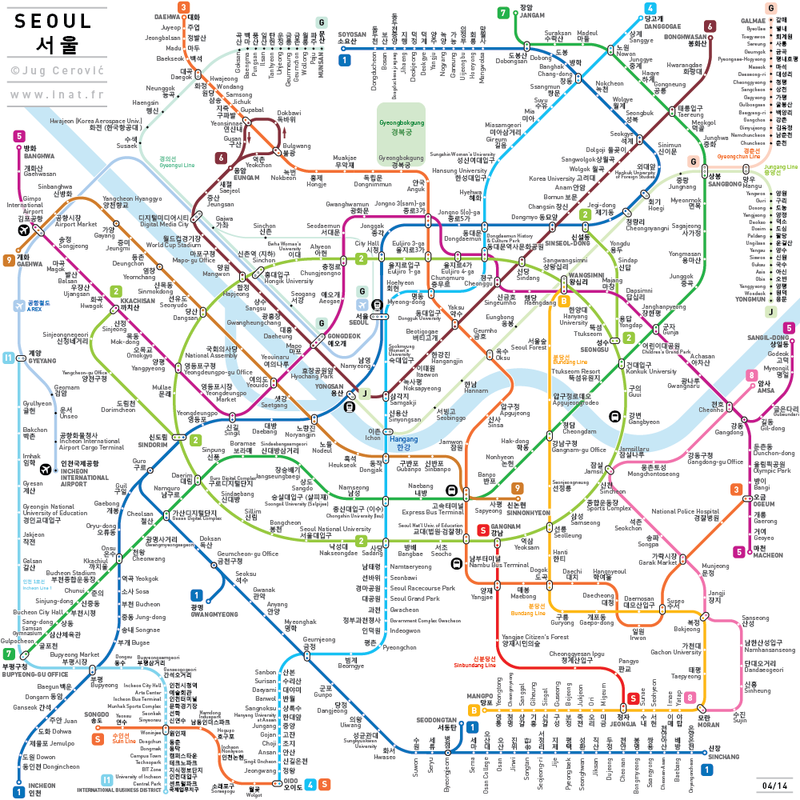 Outside of Japan, I’ve only taken public transportation in the US, South Korea, and Hong Kong. 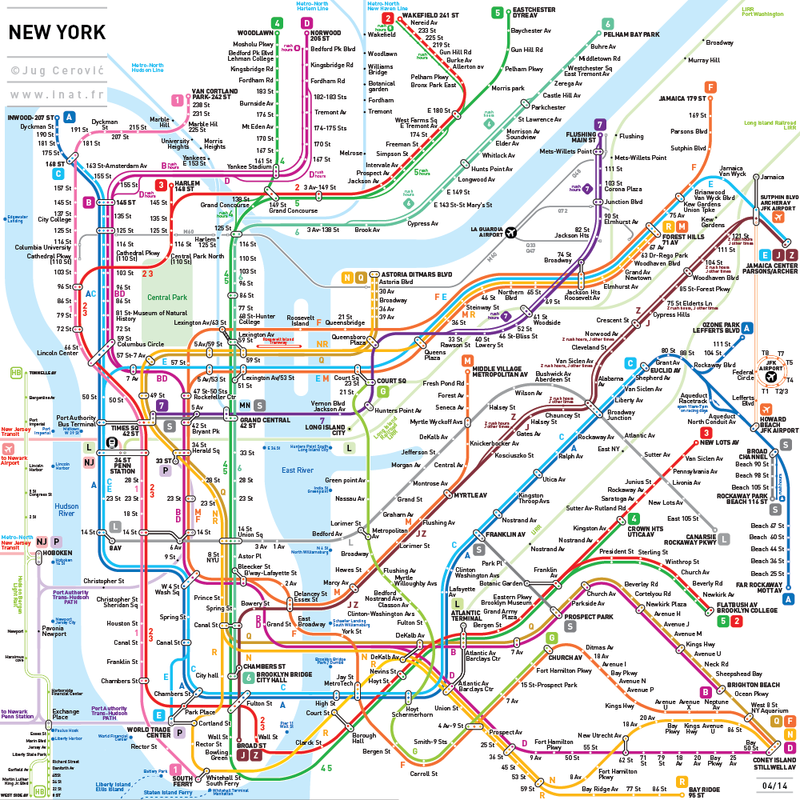 I think the subways of New York were the most confusing for me, mainly because there were no signs or timetable and the trains would randomly switch platforms on you. Or was that my imagination? 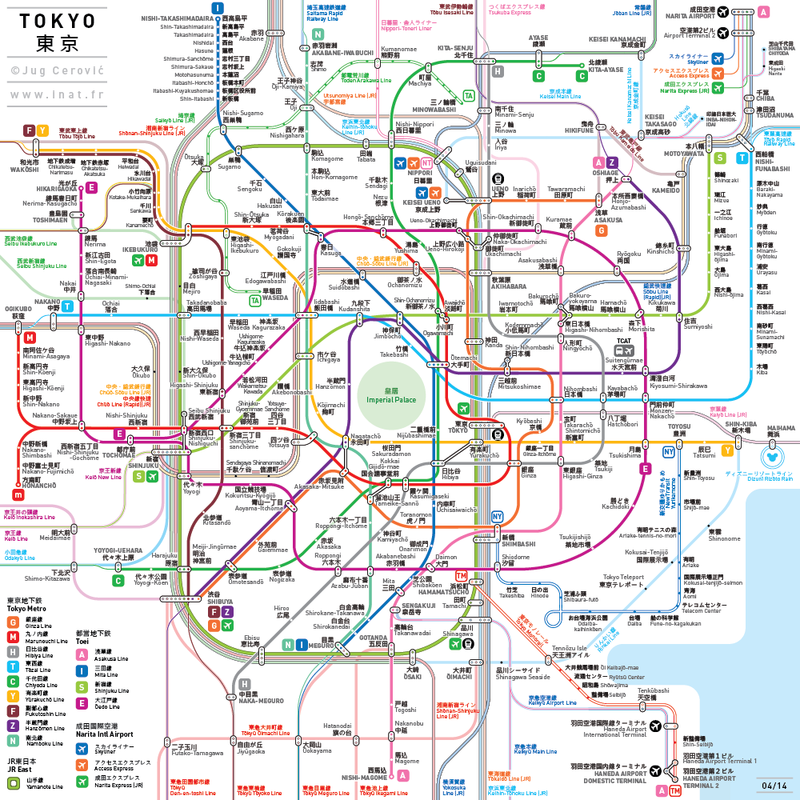 Looking at the Tokyo metro map, I’m not sure how much easier this is to read compared to the standard one we usually see in Tokyo. But that may be because I’m already familiar with the geography. I love seeing all the different designs the metro stations draw on each city though. 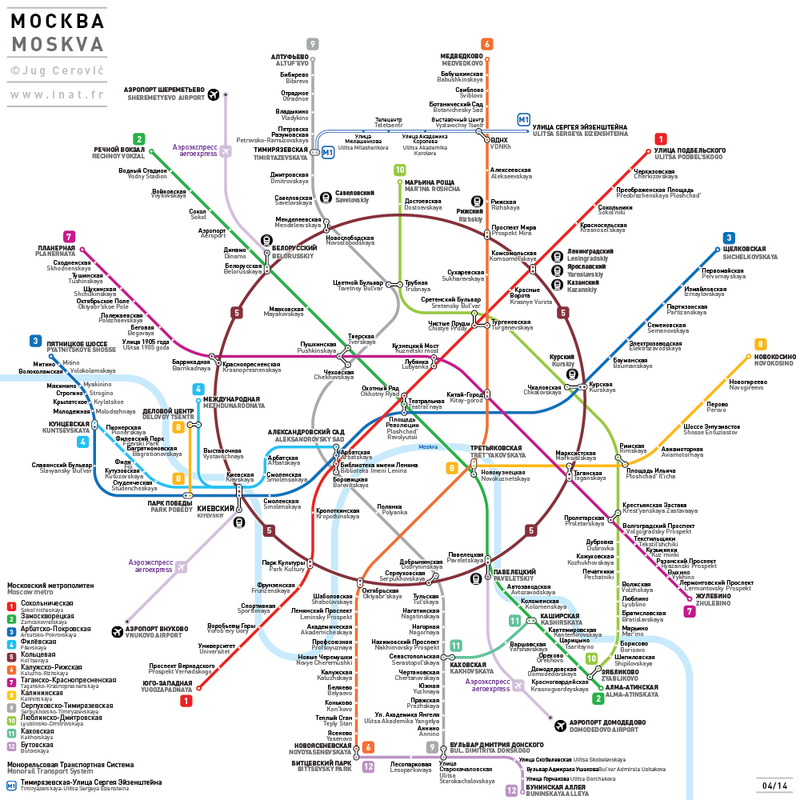 What do you think of all these metro maps? i love to travel in subway especially when we were in Tokyo. I always downloaded the map into my iphone. And I love the subway in Tokyo. Very convenient. 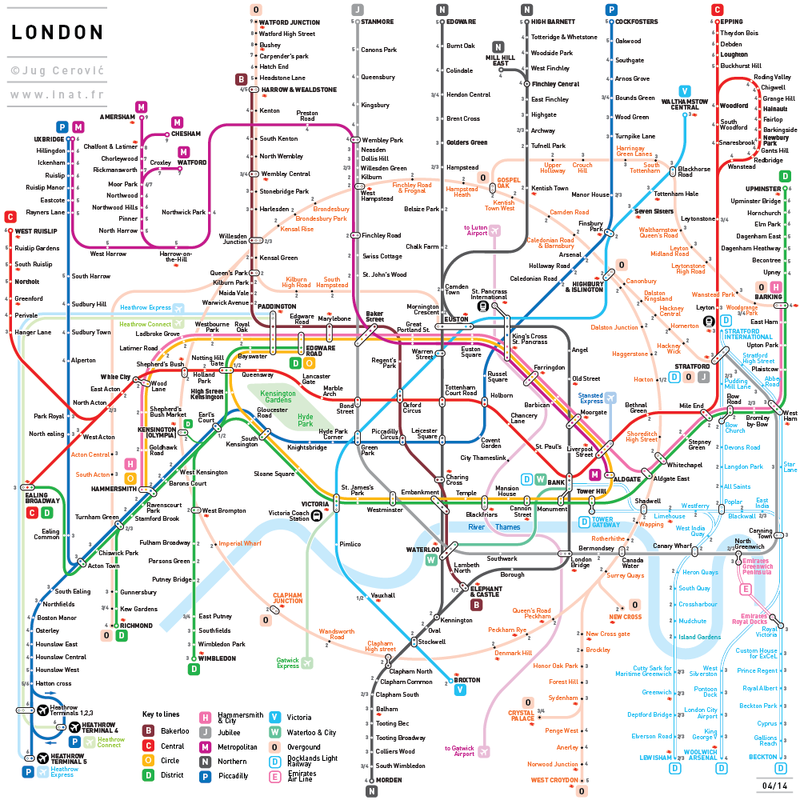 Oh yes London is interesting too by metro but I do get lost.